There was the intention both in the Alliance and the Reid Commission that the provision in Article 153 on Malay special position should be transitional – i.e. reviewed 15 years after independence. The sequence of political events leading to independence, according to Donald Horowitz, was a factor in consolidating a coalition of ethnic-based parties that proved to be enduring. At the pre-independence stage components members of the Alliance were forced to arrive at compromises in order to present a common stand in independence discussions. And they were more willing to make concessions to one another to maintain the inter-ethnic coalition, a condition stipulated by the British before any transfer of power could take place. There were several stages in the negotiations for a new constitution. Of these the most important were the preparation of the Alliance Memorandum (April-September 1956), the Reid Commission (19 June 1956-21 February 1957), and the tripartite Working Party (22 February-27 April 1957). The Alliance Memorandum was one of several from different organisations that were submitted but it was the one which the Reid Commission paid most attention to since this came from the majority party in the Federal Legislative Council. The Alliance Memorandum was finalised after crucial concessions were obtained from all sides within the coalition. The Reid Commission was entrusted with drafting the Constitution after taking into account the views of different groups. The tripartite Working Party, which included representatives from the Alliance, the Malay rulers and the British, met between 22 February and 27 April 1957 to go through each item in the draft constitution. This was to ensure that the new constitution would be acceptable to the major communities. Some significant amendments were made at this final stage although the general structure of the draft constitution was retained. Articles in the Constitution on citizenship, Malay special position, language, and religion were the most sensitive and were closely scrutinised and debated. Throughout these discussions, Umno and the non-Malay Alliance leaders had to contend with very communal demands from radical sections of their communities. Over the years since then, these Articles in the Constitution have continued to be major sources of disagreement and a bone of contention in inter-ethnic relations. Members of the Alliance agreed on the application of jus soli for citizenship so that those born in the Federation after independence became citizens and non-residents could qualify by fulfilling residence, language and oath of loyalty requirements. This liberal citizenship requirement was a major concession from the Malays because with this agreement, large number of non-Malays became citizens. In exchange for liberalising citizenship requirements, non-Malay leaders in the Alliance accepted the special position of the Malays. Umno wanted to continue with Malay privileges as provided under the Federation of Malaya Agreement through provisions for Malay reservation land, operation of quotas within the public services, quotas for licenses and permits for certain businesses, and quotas for public scholarship and education grants. There was the intention both in the Alliance and the Reid Commission that the provision in Article 157 (becoming Article 153 in the final version of the Constitution) on Malay special position should be transitional. MCA was unhappy with the amendment made to Article 157. Its representatives to the talks had failed to realize the implications particularly that future amendments to Articles in the permanent section of the Constitution required a two-thirds majority of total number of members of each House of Parliament. Furthermore, following MCA’s expression of concern that Article 157 provision should be carefully worded, it was agreed that a protective clause be included which stated that “Nothing in this article shall empower Parliament to restrict or control any trade or business just for the sake of creating quotas for Malays”30. It was at the tripartite negotiations that an Article making Islam the official religion of the Federation was introduced. The majority in the Reid Commission had favoured retaining religion as a state matter. They feared that providing an official religion, as proposed earlier in the Alliance memorandum, was a contradiction to the status of a secular state. There was also a compromise on language. The Alliance agreed to Umno’s proposal that Malay be the official language but that there would be no objections to the use of Chinese and Tamil for unofficial purposes. The Tunku also assured Chinese educationalists that Chinese schools, language and culture would be preserved. The tripartite Working Party agreed to a proviso in Article 140 on language allowing the teaching and learning of Chinese and Tamil. English was to be retained as official language for ten years after independence and thereafter until Parliament otherwise provided. Finally, the Malay rulers were to be constitutional monarchs and they would act on the advice of the Cabinet. In the tripartite meeting it was agreed that the rulers would be consulted on matters affecting their positions, territorial changes, changes affecting the special position of the Malays and the legitimate interests of the other communities, and in the appointment of important commissions such as the Election Commission and the Public Service commission. Consensus was reached among the leaders at the constitutional talks on what were undoubtedly sensitive and difficult issues. Efforts were made to ensure that the core interests of all the communities were safeguarded. Though the constitutional provisions did not satisfy everyone there were key compromises made which enabled the members of the Alliance to work together towards independence. The Constitution which the founding leaders of Malaysia helped bring to fruition has since the provided the parameters of all subsequent discourses on inter-ethnic relations. But over the years, the inherent tension in a number of Articles of the Constitution have surfaced. Members of the various communities have claimed that the interests of their constituencies as provided in the Constitution had not been protected or advanced and these concerns have been taken up by opposition parties and even component members of the ruling coalition. There have also been calls for review of some of the provisions in the Constitution. At the same time, some Malays have argued that the community was not receiving the full benefits of their special position in exchange for granting citizenship to non-Malays. While non-Malays were granted immediate citizenship, the Malay community was still lagging behind economically and Malay was not as widely used as the official language. 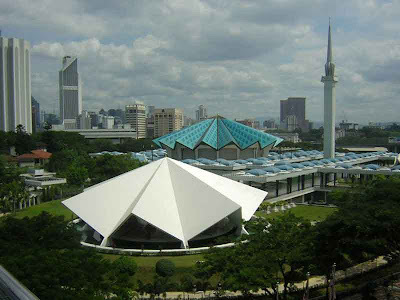 Many non-Malays, on their part, perceive that the Constitution has favoured the Malays and want to redress the bias so as to ensure fairer access to educational and employment opportunities in the government sector as well for to bring about the wider use of other languages and the development of vernacular-language schools. So long as the founding leaders were still around and the mystique of the Alliance as the party of independence remained, it was possible to contain the deep unhappiness of all communities. The hope of the early leaders was that with economic growth and equitable distribution, a maturing democracy, and continued inter-ethnic cooperation, the contentious issues would gradually fade away. Inter-ethnic cooperation was forged during a period of political transition in the pre-independence years. Donald Horowitz contends that the sequence of events was decisive in the formation of the Alliance and in the willingness of leaders of the component parties to reach agreement during constitutional talks. Prior to the Alliance, there had been efforts at inter-ethnic cooperation and thus when Umno and MCA formalised their partnership it was not an entirely new or uncharted experience. Horowitrz suggested that the Alliance could be looked upon as a creation of chance “a curious and irreplicable combination of circumstances”. There was the Emergency and British colonial policy which pushed Umno and MCA together; that elections were held first for town councils where voters were mainly Chinese, and that there were no strong competing communal parties. In these circumstances, Umno as the leading Malay party was willing to reach across ethnic lines to work with the MCA in order to defeat the IMP, its main threat. Horowitz also argued that leaders of the Alliance had time to develop a close relationship even before they needed to face ‘divisive’ issues. The electoral battles they fought together and the difficulties they encountered with the colonial authorities bonded them in friendship. They were willing to make compromises in a spirit of give and take in order to maintain a united front when negotiating with the colonial authorities for independence. Fifty years after independence there is a need to renew our understanding of how leaders of the various ethnic groups came together to create a political coalition, to relearn of the different stages in the drafting of the Constitution, and to be aware of what the founding leaders agreed on with regard to citizenship, Malay special position, the place of Islam in this country, education and language, and the role of the Malay rulers. There must be appreciation that the Constitution was drawn up in a context of compromise and consensus so as to forge a united front in the fight for independence. Today there is an urgency to retrieve and regain that spirit of mutual respect and understanding to build a cohesive Malaysia that can thrive in an increasingly globalising and competitive world. Parts 1 & 2 appeared on Feb 5-6. Dr Lee Kam Hing’s essay is originally titled ‘Forging Inter-ethnic Cooperation: The Political and Constitutional Process towards Independence, 1951-1957’ and published in the book Multiethnic Malaysia — Past Present and Future (2009). CPI with permission from the author is reproducing his essay in three parts for online reading in our website. Today’s Part 3 is as above. Dr Lee is research director at Star Publications. He was visiting Harvard-Yenching research scholar at Harvard University, and visiting scholar at Wofson College, Cambridge University. He was previously history professor of Universiti Malaya. 26 Those who held an additional nationality were given a year to decide if they wanted federation nationality while the introduction of a Commonwealth citizenship status allowed Commonwealth countries to grant certain privileges to citizens from other countries. Joseph Fernando, The Making of the Malayan Constitution, pp. 124-126, pp.160-161. The only comment that I have for this is that use the proper channel to change the constitution...ie 2/3 of parliament... because that is the only way that it can be change... and trust me, as long as the Malay is the majority race, this will never ever happened.